One of the most popular posts on my blog is one I wrote four years ago about reporting tax on RSU. Although I try to do the best I can in deconstructing it, I still get many questions about it every year at tax time. It’s a difficult topic because there can be many variations. Employers issuing the RSUs don’t help because they are afraid of liabilities. They just say “consult your tax advisor” as if everyone has one. Tax software doesn’t make it easy either. Although there are many variations, the software tends to go by just one. If your situation fits it, you may be able to muddle through. If it doesn’t, the software confuses you more than it helps you because your situation doesn’t match what it thinks you have. For the longest time I only addressed the issue generically. I refused to work as free tech support for the software companies. If you paid for the software, they should help you with how to use it. Now I give up. I realize people are looking for step-by-step help and the software companies aren’t providing it. The following is a sequence of screenshots taken from TurboTax Online. If you use the installed software, your screens may be different but similar. I show TurboTax only because it has the largest market share. In this post I will use the most straight-forward case: Net Issuance. It’s probably the most common. I may do other variations in future posts. In Net Issuance, the employer withholds a number of shares for taxes before giving the employee the remainder. For example suppose you have 100 shares vested but you only receive 60. You just don’t see the other 40 shares. The employer doesn’t use a broker to sell the 40 shares for taxes. It just keeps the 40 shares and puts some numbers on your W-2. Before you begin, be sure to understand when you need to report when you have RSU under Net Issuance. You report when you sell. If you only have some RSUs vested but you didn’t sell, there’s nothing to report yet. Wait until you sell, but write down the per-share price when your shares vested. If you have multiple lots, write down for each lot the date, the closing price on the vested date, and the number of shares released to you. This information is very important when you sell. You had 100 shares vested on 8/1/2013. 40 shares were withheld for taxes. The closing price on the vesting date was $50/share. Keep this information until you sell. When you sell, you will receive a 1099-B from the broker in the following year. You will report your gain or loss using this 1099-B and the information you accumulated for each vesting. You sold 60 shares from your vesting above on 2/10/2014 at $70 per share. After commission and fees, you netted $4,180. In 2015, you received a 1099-B from your broker showing a sales proceed of $4,180. Now let’s account for it in TurboTax Online. Click on My Account on the top, then Tools. Enter employee stock plans. Click on Go. Import your 1099-B if your broker is on the list or just type the numbers yourself from the 1099-B you received. I continue with typing it yourself here. Select or enter the financial institution. Look carefully which box is checked on your 1099-B. On my form it was Box B. Now enter the information from your 1099-B. Date of Acquisition is the date the shares vested. If the cost basis is blank on your 1099-B, because it was not reported to the IRS, use your own record to fill it in. The price was $50/share when these 60 shares were vested. Therefore your basis is $50 * 60 = $3,000. If you didn’t sell all the shares vested in that lot, multiply $50 by the number of shares you sold. If you have more lots, enter in additional rows. That’s it. You got the shares at $50/share. You sold them at $70/share. You pay taxes on the gain. What happens when you are awarded the RSUs and the company goes out of business before the grant. The compensation was added to the W-2 during the year it was granted. Can I claim the value of the grant to offset any capital gains from other sales? bill iommi – I’m not clear what you meant by “before the grant.” The series of events as I understand them are: (1) Grant. This is when the company tells you they will give you X number of RSUs to be vested over the next Y years. (2) Vest or Release. This is when you hit a milestone and a % of the RSUs become really yours. It’s also when the value of the shares vested or released is added to your W-2 as compensation. (3) Sell. This is when you sell the shares you received. So when does the company go out of business? Before grant, you have nothing. Before vest, you don’t have any compensation added to your W-2 and you’ve lost nothing. Before you sell, too bad. You can declare the shares as worthless and claim a loss. My company stock plan is administered through e-trade. Which has sent me all my tax related events in the form of 1099-INT and 1099-B. This year, I made taxable events w/r/t NQSO, ESPP, ISO (disqualified) and RSU. While using turbotax premium in the interest income section, I downloaded both forms (1099-INT, 1099-B) from e-trade. 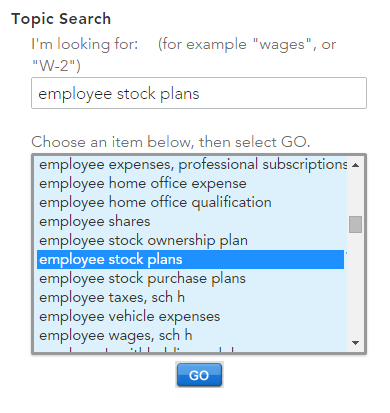 My question is: Since my company administered stock plan activity is now in turbotax in the form of the corresponding 1099’s am I finished with inputting all information w/r/t the stock plan or do i need to open these sections (employee stock plan) within turbotax? thanks in advance. gary – You still need to open those sections. The 1099-B’s I received from E*Trade had basis for some shares I sold but not others. You still need to look at each one and fill in the blanks. Thank you so much for going through this. My RSU situation was different, as the employer didn’t hold back the stock separately for taxes. With the broker, I selected either “sell-to-cover” or “same-day-sale” to just cover the taxes or to sell the whole lot. Turbo Tax was even less friendly with this scenario. I look forward to additional blogs on this specific topic. Thanks for the help and the laughs! And let us know as you expand blog posts on RSUs!!! After 2 nights of being on the phone and getting no where with E*Trade, I finally have clarity. Thank you so much!!! Thank you so much for your post. Your post is more helpful than any of the supports TT provides. This is really great but I do have a really basic question. My situation is more simple than your sample case. I had number of RSUs vested monthly but I didn’t sell any of the shares in 2012. Now I have 1099-B Proceeds From Broker and Barter Exchange Transactions 2012 for the Sell-to-Cover Transactions. If I follow your step-by-step tutorial, on “Enter Your Sale Information” screen, what would I enter for Date Sold, No. of Shares Sold and Selling Price Per Share? Or I don’t have to enter any of the vested shares on 1099-B since I didn’t have any actual gain/loss? Thanks a lot for your post. I am not sure if this is a right place to post. If not please let me know where to post the following question. I received “statement of taxable income” from my employer for 166 shares which got vested on November 9th 2012. The total W-2 Income was also included in there. I didn’t place(sell or buy) any trade in 2012, so I didn’t receive any 1099 form from Etrade (I confirmed this etrade also). I paid my taxes(during vesting period) through my account instead of paying through stocks. Should I report this “statement of taxable income ” when I am filing tax this year? If so can I use turbo tax to do it. Any suggestions would be of great help. Ram – If you paid cash for the taxes and kept all the shares, you don’t have to report until you sell the shares. Keep the “statement of taxable income” until you sell the shares. It will remind you the price per share you paid for the shares. How do i report RSU? I know it’s been included as part of my wages, because it was stated on the details of my W2 but my question is.. do i still need to report on Schedule D, since this is not a sale? I did not receive 1099-B either. If I’m going to report to Sched D do I need to report the cost same as proceeds to come out with zero loss/gain, to reconcile what was reported on my W2? Any suggestions would be appreciated. I had number of RSUs vested monthly but I didn’t sell any of the shares in 2012. Now I have 1099-B Proceeds From Broker and Barter Exchange Transactions 2012 for the Sell-to-Cover Transactions. Matt, Emily – If you received 1099-B for sell to cover, your employer isn’t doing net issuance, which this article is focused on. You enter each sale as shown on the 1099-B. Your basis is the price per share on vesting date * # of shares sold to cover taxes. Any small difference in price and brokerage commission is your gain/loss. Do this for each entry on the 1099-B. I have a situation where a total of 326 RSUs from 3 different grants vested Sept 2011 (employer withheld 135 shares for tax and distributed 191 shares to me) . I ended up selling all these 191 shares on Jan 9 2012. 1) The above example you have walked through assumes shares vested & sold in same year . Since in my case the shares vested and were sold in different years- do I need to do anything different? Geetha – Just bypass Easy Guide and go directly to Enter On a Spreadsheet. Follow the example there. You will avoid all the problems. Great information. Next time, I’ll just buy the basic Turbotax! If we have several sell to cover transactions, actual RSU sales from previous years’ vests , some same day as vest sales as well as ESPP sales throughout the year and two ESPP purchases during the year, and most of all of these result in losses , can we apply wash sale rules across all of them since they’re all in the same underlying stock? If yes, how many times within a tax year can this be done? Are two consecutive sell to cover for taxes resulting in a loss within 30 days of each other considered a wash sale if there are no other transactions in the stock in those 30 days? Thanks for this post. I’m still not clear on what to do if I vested in a grant, but did not sell the shares. Turbotax flags a delta between what is reported on my W2, and what it computes. The delta is exactly the amount of the two vestings that I did not sell. I don’t see a path to enter a vest with no sale, nor one that would allow me, in a following year, to enter a sale without a vest. Steve – You don’t have to enter anything for the shares you didn’t sell. Use the “Enter on a Spreadsheet” path to enter the shares you sold. This tutorial was really helpful. Thank you so much for taking the time to do it since Intuit’s help is so lacking. I do have one follow up (very basic) question. In your example above, on the person’s 1099-B if they have both the sell-to-cover of 63 shares and the subsequent selling of the 97 shares listed as separate line items, does that mean they should go through the RSU wizard twice? Or does simply going through the wizard once and explaining on the “Vesting Release” screen that 63 shares were sold to cover taxes sufficient? 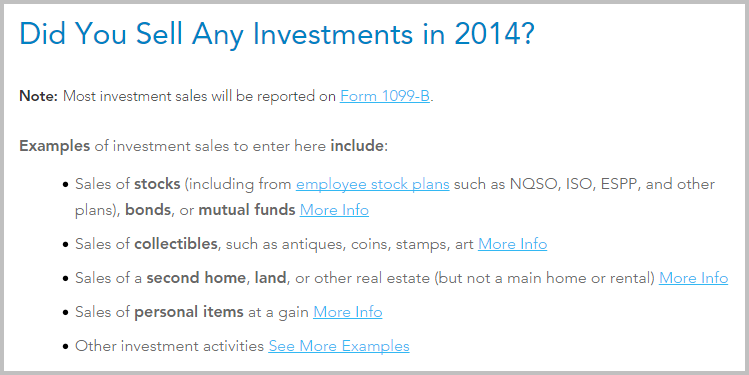 Will that give a mismatch of items between what’s on your taxes and what’s on your 1099-B? Or does that mean my employer doesn’t do Net Issuance and I should flee the country since I don’t know how to get that into turbotax correctly? Thanks so much for your help. I’m was going crazy until I found your post 🙂 You need a donation button on this post. John – If you have the sell-to-cover shares listed on 1099-B separately, it means your employer doesn’t do Net Issuance. If you followed the article to the end, you realize you should just skip the Easy Guide and jump right into Enter On a Spreadsheet. There, you make two entries: one for the 63 shares, another for the 97 shares. I already showed you how to do the 97 shares. You do it the same way for the 63 shares with the numbers on your 1099-B. If you insist, the tip jar. I have RSUs vested during 2012. I did not sell any. Employer deducted shares to withhold tax on eTrade. On my W2, the RSU income is added to my wages but i was NOT deducted any tax from my paycheck. How do I tell turbotax that tax has been withheld since I have less sellable shares since employer already withheld taxes? Mo – If you didn’t sell any, do nothing. Just enter your W-2 as-is. Thanks for the reply Harry. I am confused though. Since the wage is reported on my w2, I have to pay taxes on it. Which is fine. But I have less sellable shares since tax was deducted. Will the remaining vested shares become sellable once I pay the tax? You employer already added the value of the shares it deducted as tax withholding on your W-2. It’s all taken of. The remaining shares are yours to keep or sell. Your cost basis in each share is the price per share at the time of vesting. If the price goes up from there, you get capital gains. It’s just as if you got a cash bonus and you used the after-tax bonus to buy shares on that day. Hi Harry – I’m still stuck. My employer entered a value on my W2 that INCLUDES the income from the shares that I did NOT sell. Turbo Tax only calculates the tax on the lots that I entered that I sold. There is a delta, which is exactly the value of the grants that I did not sell. It won’t let me complete my return. Can you enlighten me as to what I’m doing wrong? Steve – Where did you tell TurboTax about the grants that you did not sell? How did it know the portion on W-2 that came from grants you didn’t sell versus just a cash bonus? If that’s why it won’t let you complete your return, delete that part. It doesn’t need to know. As I wrote in comment #19 above, use “Enter On a Spreadsheet” and only enter the grants you actually sold. This was a great post. Thank you. Thank you. Thank you. I can’t thank you enough for all your posts about RSU. Oh man, thank you for this. Injecting some sanity into this needlessly complicated and misleading process was exactly what I needed. This was super helpful! 1st time i’ve had to do anything w/ RSU’s and following your advise & using the spreadsheet method was a breeze! THANK YOU! 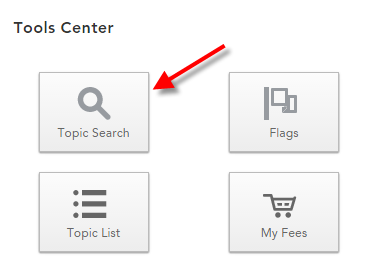 So far this is the only place on-line where I’ve been able to hit the exact topic on which I’m stuck. If I held onto all of my RSUs vested (net of those sold for taxes), then I don’t need to report the transaction at all as a sale of an employee stock plan (specifically RSU)? If I choose this approach, I end up with a huge tax bill equal to the amount of the tax withholdings on the RSUs vested and sold for taxes. This doesn’t seem right to me! Barbara – It depends whether the shares sold for taxes appear on a 1099-B or not. This article deals with Net Issuance, i.e. no 1099-B. See comment #21 above if the shares sold for taxes are reported on a 1099-B. See comment #29 above if somehow TurboTax thinks you sold but you didn’t. Ask where TurboTax got the idea you had any RSUs to begin with. If it got from W-2 box 14, delete it. Hi Harry – Thanks for your help…just tipped you for it! Comment #21 is for 2 transactions – the sell-to-cover taxes and the sale of the rest of the shares. I didn’t sell any shares; the broker did sell some on my behalf to cover taxes. So do I still report the sell-to-cover taxes shares in TurboTax as sold just like you would report the 97 shares in your example? That seems to make sense to me (and helps my tax bill), but then you wrote in comment #25 that if you didn’t sell anything, don’t do anything (meaning don’t report anything at all on the stock front?). I didn’t sell anything; the broker did though to pay for taxes (presumably as instructed by my employer). I’m still confused as to whether I should do nothing (other than enter the W-2 info. which includes both the income for all RSUs vested and taxes for RSUs sold-to-cover) or enter the W-2 info AND the sale in the investments section for the sell-to-cover transaction. I really appreciate your time. Barbara – It all depends on whether the shares sold for taxes are reported on a 1099-B from a broker or not. If they are, you enter them, the same way as the 97 shares in the example. If they are not reported on a 1099-B (only on W-2), then you don’t. I did not upgrade to Premier turbo tax, but believe I am following this helpful conversation – please confirm. I received 50 RSU’s on 12/10 DEU 1.46. Vest detail shows grant price $0, Fair Market Value=$14.16 x 17 units vested = $240.72. W2 shows $240.72 as RSU. 6 units were withheld for taxes @ $14.16 (or $84.96), The $84.96 shows on my W2 as Restrict Stock tax offset ($71.36 Fed WH, $3.49 Fed MedEE, $10.11 OASDI/EE) I did NOT get a 1099 for this sale – so I entered $84.96 as the sales proceed and $84.96 as the cost basis which calculated a $0 gain/loss. Correct? Sue – If you kept the remaining shares, you can either do that ($0 gain/loss) or just do nothing because you didn’t receive a 1099-B for the shares sold for taxes. Harry – if you don’t sell the remaining RSUs from an Net Issuance until the following year, does it matter if you record them as an “RSU” sale or just a “Stock” sale in TurboTax? I usually move the remaining shares into a different broker account and then sell them when I need the money or want to invest them different. 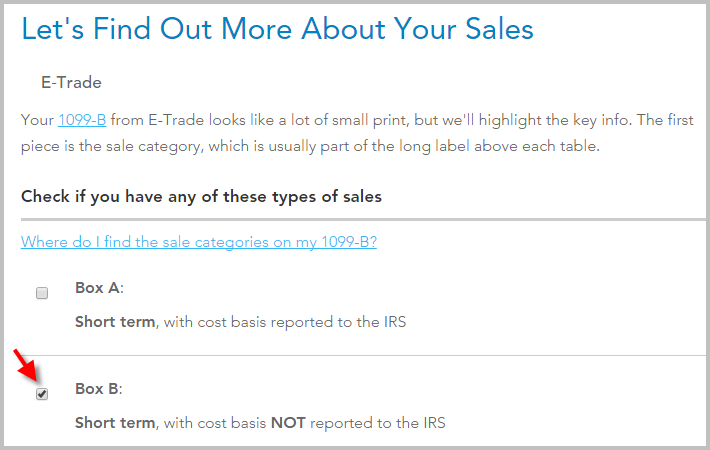 TurboTax pulls the data automatically from the broker so it is assumed to be just a standard “stock” sale. David – Just a standard stock sale but you will have to remember the basis (price per share at vesting). Your new broker won’t have that. Sometimes your old broker doesn’t report basis either. How do I do this in 2014 version of TurboTax? It looks completely different. Dear God thank you! I’ve been struggling with inputting the RSUs that are on my W2 for 3 years. I’m using TurboTax Home & Business 2013. For year 2013, I can’t find the same screen as 2012 for ESPP and RSU. Where are they??? I could not find how to enter RSUs in TT deluxe, I had to upgrade to Premier. You are now at the Enter Other Sales screen. Type in a description and under that check the “Add more details” box. Then click the start button to the right. This will take you to a screen where you can select Restricted Stock Units. You can then type in all the info for the RSUs. Thank you so much, Scott! “Add more details” that is. I’m using TT Home & Business but it is the same as Premier for RSU and other stock transaction. You saved my day. I had 750 shares vest in 2007, with 144 held for taxes. I sold the remaining 506 in 2012, which I have a 1099B for. Nothing was included on my 2012 W2. The company I received the shares from was sold in 2012. I don’t have any documentation on the sale of the 144 held for taxes. What do I do?? (Yes, I’m just now doing my 2012 taxes.) Thanks for any advice. Don’t worry about the 144 shares. They were taken care of on the W-2 in 2007. Just find out the per-share price your shares were vested at. That times the number of shares plus any reinvested dividends form your cost basis. I had some RSU’s that vested in 2009, 2010, 2011, 2012. There were shares withheld to cover the taxes. When I look at the W’2s they show income for the vested RSU’s and the same amount in the deductions summary which backs it out to zero. Also I do not see that they added any taxes taken for the withheld shares. I sold some of them this year, can I add the taxes that were taken via the shares to additional taxes paid in the other category in TurboTax? No you can’t do that. I re-wrote this article using new screenshots for 2014 tax year. See if those help. Your write up about RSU and how to enter them into Turbo Tax was extremely helpful. I thank you for providing so many of us with a clearer understanding of how to enter the transaction. My situation is as follows…most of our RSU sold were done as sell to cover, one was a net issuance. I completely understand how to calculate the cost basis for the partial shares sold to cover the tax and the remaining shares which I sold the same or next day. The broker reported the gross proceeds for both sales. I am a little confused about the cost basis on the one sale which was sold as a net issuance. I entered into Turbo tax the correct gross proceeds which were reported on the 1099B. No cost basis was reported on the 1099B. I entered 34 shares in the description which is how it is listed on the 1099B. I had figured the cost basis for the net issuance RSU as the shares available to sell (34 shares), which I sold the next day, times the FMV on the day it vested. 47 shares were vested, 34 shares were able to be sold, 13 shares were assumed by the company to cover the taxes. The 1099B does not list the transaction involving the 13 shares. The compensation element on my pay stub is the amount of shares vested (47 shares) times the FMV on the day it vested. I do not want to under state the cost basis, but from what I read it should match the compensation element added to your earnings. From your explanation I believe the cost basis is the actually 34 shares sold times the FMV. However, I read on another site that the cost basis is the amount of shares vested (which would be 47 shares) times the FMV. Everyone seems to address selling the stock at a later date, we sold it immediately. I was expecting the amount on the pay stub to be identical to the compensation element I was including in the cost basis. Its off by the amount shares the company “kept” to cover the withholding tax (13 shares) times the FMV. Can you clarify which compensation element do I use in my cost basis calculation……47 shares or 34 shares times the FMV. I think it should be 34 shares x FMV, but I want to be sure I understood it correctly. Always think per-share. You taxable income for 47 shares vested is the per-share price times 47. The taxes you paid are the per-share price times 13. Your basis for 34 shares remaining is the per-share price times 34, and if you only sell 17 out of the 34 shares received, your basis for the 17 shares sold is the per-share price times 17. The only differences between sell-to-cover and net issuance are the shares taken for taxes are not sold through a broker, not at a slightly different price from the open market but assumed to be the same price at vesting. The only transaction on the 1099B is for the 34 shares sold. I am getting a little confused, so to be sure, I am only reporting to the IRS the transaction for the 34 shares sold, right? My cost basis for the 34 shares will be shown on the return as the FMV times 34 shares. My tax return does not have to show the 17 shares that were the “net issuance” shares. I am assuming I don’t have to worry that the taxable income on my pay stub is higher than the compensation element I am using in my cost basis for the shares I sold. I almost prefer cover to sell because all my numbers match:) Thanks again for your clarification. That’s correct. In Net Issuance you never saw the 13 shares. You only report what you sold. When you read that the basis should match the compensation element added to your earnings, to be more precise it should say the basis should match the compensation element added to your earnings *for those same shares you sold*. If you sold 1 share you use the compensation element for 1 share. If you sold 2 shares you use the compensation element for 2 shares. Your W-2 or paystub had 47 shares is really beside the point. Is this correct in your opinion? See comment below. Don’t touch that “Add More Details” box. Also see comment above from Cindy for sell-to-cover. A sell is a sell. It doesn’t matter whether you are selling for taxes or selling for cash in your own pocket. I am having issues with TurboTax being not happy during the smart check because the $ reported on my W2 is much larger that the $ calculated because I had RSU vesting in 2014 that I did not sell and I had vested RSU from 2013 that I sold in 2014. It makes TT confused for some reason. 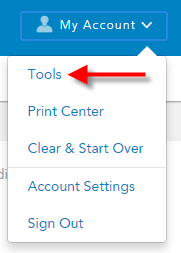 Would you recommend NOT using the “Add More Details > RSUs” specific section/guide in TurboTax and just use the default stock sale by inputting the cost basis manually? As you see from the screenshots, I don’t touch the “Add More Details” box at all. You will only confuse yourself if you do. The thing though is that if I don’t use the interview process, my refund drops by almost half of what it was when I used the interview process. Must I adjust the basis (reported by my broker) to include the compensation part of the cost basis so I don’t get double taxed. Have you seen this happen as well? Maybe it should drop because you entered it wrong before. What was the per-share price when the shares vested? What was the basis reported by your broker divided by the number of shares you sold? If they match then you don’t need any adjustment. I followed a few threads on the TT support pages and found that the best answer is to follow the interview and just tell TT that the amount included on the W2 matches the amount that TT calculates (even though it is higher in W2). This seemed the best solution out of all of them. (I tried to enter a sale of 0 shares and include the share that vested and it then matched my W2 and the end refund number ended up the same, so I feel good telling TT that the number on W2 matches the partial calculation). Excellently worded response. I completely understand my situation. Thank you again!!!!! correct me if I am wrong that in this case we only need to pay taxes on gains and when Turbotax asks if this amount is included in W2 then we need to choose that yes it is included in wages section of W2? second query is is this same rule applied incase of long term RSU sell too? Thanks for your explanation. I’m having the same problem as Steve above. I have vested RSUs that I didn’t sell. They appear on my W2 in box 12, code V as (exercised stock options). I did also exercise NQSO last year so they are also added in box 12, code V. When I fill out everything on TT from my 1099-B, I can’t get past the check because there’s the difference between what I entered for my NQSO transactions and what appears in box 12, code V because that also includes vested RSUs! From everything that I’ve read online, I shouldn’t need to enter in anything for vested RSU’s that I haven’t sold. Thanks for this article! You mention “If the cost basis is blank on your 1099-B, because it was not reported to the IRS, use your own record to fill it in.” I did not take notes at the time of sale so do not have the vesting price for the RSU to use as a cost basis. Do you know a way to find out which RSU grants were associated with each sale. My call to ETrade yielded nothing – I will try again. Considering the insights you provided in the article I thought you might have some guidance. Be sure to keep expanding on each row, first on stock symbol, then on each sale. You are awesome! I totally missed expanding on the sale. Thanks for your writeup. Do you know how to handle ESPP disqualifying dispositions? Etrade seems to suggest that you report 1099B as ESPP cost (e.g. $10 at 10% discount = $9 ) and then you file form 8949 ( http://www.irs.gov/pub/irs-pdf/f8949.pdf ) to adjust the basis for the cost that was reported as regular income ($1 regular income in this case if you sold at $10 as disqualifying disposition, so adjustment would bring cost basis to $10). However, I can’t find how to do this in TurboTax. Is it OK to just adjust the basis to $10 in TurboTax? But if IRS gets 1099B, it would seem that they would want 8949 instead of me adjusting the basis which would cause inconsistency with 1099B? Or will TurboTax report this correctly anyway? This is indeed a great summary for many people who are doing it the first time like myself. I had a question on entering the Vesting and Grant Information in Turbo Tax for my RS that vested in Nov 2014. Should be entering the total of 34 shares that were vested or the 21 that were granted to me after withholding taxes. I ended up selling all the 21 shares in Dec 2014 and need to figure out what to report. In-dependent of this, the cost basis is still being calculated on the 21 shares that I sold. NNS – You don’t see any “Vesting and Grant Information” in my screenshots. If you avoid it altogether you won’t be confused by it. it’s amazing how much of this everyone keeps secret. And the only person that gains from these secrets is the government from getting a lot more of my tax money than I can afford. So glad you updated this for the current year also, made it very easy to follow along. I have been doing a lot of reading to make sure I fully understand my RSU’s and 1099-B and have seen warnings to make sure I am reporting the correct tax basis which also includes a “compensation component” i.e. the tax basis should be: price paid to acquire shares + compensation recognized for acquiring them (reported on Form W-2). I am wondering if this means I must adjust the cost basis provided on my 1099-B for my RSU sales (which are specified as not including the compensation portion). According to the formula and your example above, however, it seems to suggest that I don’t need to make an adjustment to the cost basis? I did not pay a price to acquire shares they were granted. Also, if there is a missing compensation element, how do I calculate it? Just want to ensure I am not double-paying tax on my RSU’s. Also, according to what I can tell, my situation is not net issuance, but instead my company is selling RSU’s to cover tax which are reported on my 1099-B as Box B sales. Janessa – In RSUs your acquisition cost is zero. Your compensation component is the per-share price at time of vesting times the number of shares sold. If the broker already reported the basis as such then you don’t need to adjust anything. Thank you Harry for the quick response. I see that I’ve just been misunderstanding some tax vocabulary. Thank you so much for your article. It’s very helpful. I have questions related to the shares withheld for taxes portion in Net Issuance. As you know, estimated taxes was calculated based on the estimate tax rates (45% was used by my employer. But my real tax rate closes to 25%) on RSU vesting date. The taxes reported in W-2 covers both shares withheld for taxes and reminding shares. You mentioned we do not need to do anything specially for shares withheld for taxes portion in our tax return. If we do not do anything for this. will we end up to overpay the taxes because an estimate tax rates was used by employers? if the answer is yes, what should we do to make sure we do not overpay taxes? Example One (Estimate Tax Rate = 45%). Example Two (Real Tax Rate = 25%). As you can see from those two examples, people only need to pay $750.00 instead of $1350.00 when a real tax rate 25% is used. David – Take a step back and forget all these about shares. If your employer paid you $3,000 cash bonus and it withheld $1,350, but you have a lower tax rate because you have 5 kids, a big mortgage and what not, you just get a refund when you file your tax return. The $1,350 is included on your W-2 as tax withheld. You don’t have to do anything special beyond entering your W-2 into the tax software. One more question. Should RSU Net Issuance Compensation Income be noticed in Box 12 with “V” code in W-2 Form? What problem will it cause if the answer is yes but RSU is not noticed in Box 12? David – It shouldn’t, therefore not a problem when it’s not. If RSU Net Issuance Compensation Income is not noticed in Box 12 with code “V”, how does tax return software such as TurboTax calculate the tax people need to pay using real tax rates? Back to my previous examples, people need to know $3000, Total Market Value (Gain), in order to calculate the total tax. Right? David – Again, think cash bonus. It’s not listed separately, just part of the total number in W-2 box 1. You don’t say how much was salary and how much was bonus. You just say you were paid total X and you had total Y withheld. How do you know whether the number of shares withheld is correct? I understand the gain part but wondering if there’s a possibility to get a tax refund for your company withholding too many shares. There is no “correct” number of shares withheld. Everybody’s tax rate is different. If it was too much you get a refund when you file your taxes. If it was too little you pay the difference when you file your taxes. I have 1 grant of RSU and each year, 25% of it gets vested. Hence, there are different vesting dates and vesting price per share. In my 1099-B, it was all reported together in 1 line with vesting date as “Various”. And when I try to put in my numbers to TurboTax Premier, TurboTax asks for the vesting price per share. The only problem is that the step-by-step guide only allows me to enter 1 vesting price per share for the entire RSU sale transaction. How do I go about this so I can enter in TurboTax my real cost basis for each vesting? Dee – Just as the screenshots shown in this article, one row for each vesting? It doesn’t ask anything about vesting if you don’t say they are shares from RSUs. My (ex) employer reported both vested and released shares. 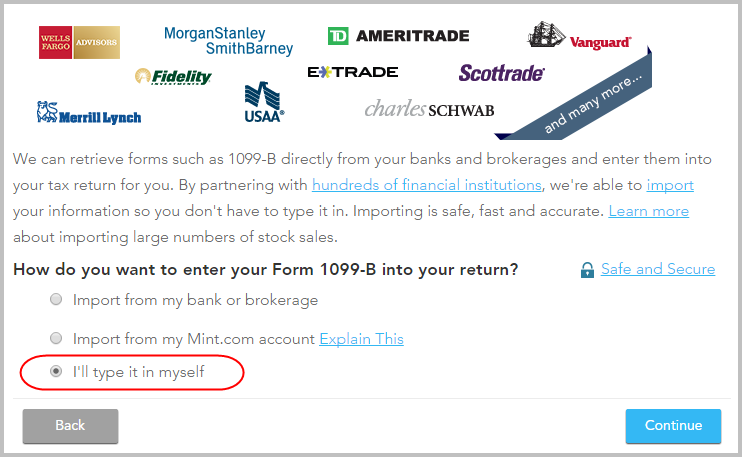 Which one should I enter in Turbotax, where it asks Vested/Released shares? Srinivas – If you do it the way shown in this article it doesn’t ask and you don’t have to worry about which one. I did sell RSUs and seems like the gain was reported in W2, but I am not 100% sure. So I have eTrade 1099 where the gain reported (with base price 0), and in W2 I have Restricted Stock gain – is is gain of sold RSUs or something else? and in case it is RSUs, how I report it? See reply to comment #55. I’m not using TurboTax (using TaxCut by HRBlock), but I had a similar question related to Restricted Stock Options. My company was bought out this December 2014. I sold 933 non-qualifying stock options prior to my company being bought out. These 933 shares were included in my W2 income and taxed at that rate. Thereafter, the remainder of my restricted shares (not included in W2) were vested and paid out. According to company documentation, 187 of these new shares had taxes withheld. I do not think these were included in my W2 income. Another 285 shares did not have taxes withheld. I have viewed the 1099-B and it includes all of the details that I need, but I do not know what needs to be reported (since some is already on my W2) and what doesn’t. From my understanding, all of it needs to be placed in the Sale of Stocks portion of my software. However, when I enter the 933 non-qualifying stock options, my refund reduces as it’s taxing me twice as if it was not already included in my income. The questions that I have, how do I distinguish that some options have been taxed and included in my W2, some haven’t, and the break-down structure. Ko – You had two different events. (1) You exercised non-qualified stock options on 933 shares. If the 1099-B you received only had your strike price times 933 as the cost basis, you will need to adjust it higher to the full price times the number of shares. Please see Adjust Cost Basis for ESPP Sale In H&R Block Software. Even though it was for ESPP, the adjustment part is similar. (2) It sounds like you had total 472 RSUs vested. 187 shares were either withheld or sold for taxes. You received the remaining 285 shares. You didn’t say whether you received a 1099-B for the 187 shares or whether you sold or kept the 285 shares. If you received a 1099-B for any sales, look carefully to make sure the cost basis is the price on the vesting date times the number of shares sold. If not, you will have to adjust again. Thank you! The included help in TaxCut was nearly useless, and of course I received no help from my employer. This explanation makes perfect sense out of the various forms I was trying to consolidate from my eTrade trade confirmations, the eTrade 1099, and my company’s provided tax information. Your explanation made short work of the confusion. I have some RSU’s vested and the full income on that based on the market price on the vested date was reported on my W2. Also a portion of the vested RSU’s were sold to cover for the taxes. But the taxes weren’t reported on my W2. I find this very odd. Since I didn’t sell any of the vested RSU’s, I don’t see anything in the 1099 B about RSU’s. I read a comment that said, in this case, you don’t do any thing. I am trying to understand how so? My income went up by the #of RSU’s * FMV of Stock on the vested date. So TurboTax says I have to pay taxes on the income. My brokerage account shows the shares sold to cover the taxes for vested shares and tax amount. I am trying to figure out how to enter this amount as paid taxes in Turbo Tax. How do you know the taxes weren’t included in the total taxes withheld numbers on your W-2? If you can prove it, contact your employer and tell them they did it wrong. One quick Q wrt state income tax liability for RSU’s that were issued in VA(SIT @ 5.75%) but were vested and received 3 & 7 years later in TX (SIT 0%)….since they had no intrinsic value until received is all the income received at vesting treated as TX income despite RSU’s being issued years ago in VA? TX is my domicile and my wife remains a VA resident….. Sorry, I don’t know the intricacies of state income tax, especially with regard to Virginia. Maybe ask Virginia Department of Taxation? Please validate the above. Then, my question is that if I enter it in the spreadsheet format, don’t I still need to choose the turbo tax box to specify that I have RSUs. Where would I mention that these are RSUs then? You don’t have to mention they are RSUs. You notice the article didn’t say anything about the shares having been RSUs. I assume that my calculations are good, then. Thank you, Harry. This has been very helpful. I have been granted RSUs in 2011-2015. Each year’s vest after 5 years, starting in 2016. They are now listed as “no longer subject to forfeiture and as such are subject to FICA, Medicare and Local Taxes”. On my 2015 W2 I am showing the RSU non cash taxable income for all five years in those 3 categories and taxed paid in those categories from RSU withheld for taxes. How do I account for this on my 2015 1040? How are the taxes “paid in 2015” accounted for as each year’s RSUs vest starting in 2016? Thanks. Thanks so much. You saved my almost big mistake. My HR was not helpful in this area and E-trade can not comment of your taxes. I was at a loss till I found your post. Amen! Thanks again. Also TurboTax 2016 works the same but new screenshots would be necessary. Harry, thanks so much for the detailed steps and explanation. My situation is a bit different. My employer was acquired during the time-frame when my RSUs vested. They withheld a portion of the RSUs for tax purposes and cashed out the remaining RSUs. They claim that the transaction is captured on W2, and no other tax forms are needed for this transaction. Has anyone been in this situation? How will the IRS know that the employer withheld correct number of shares for tax purposes, since W2 neither shows the number of shares, nor the price per share? It’s accurate. The number of shares withheld doesn’t have to be correct. If too many shares were withheld you get more back as a tax refund. Thanks Harry. Just to follow up on my previous question. Do you think, I’ll need to report the transaction to the IRS, in any other way than it’s already reported in W2. In other words, do I need to go through the steps described in this topic, or simply entering W2 details will be enough? No you don’t have to do anything extra because you didn’t sell any shares. I don’t have any experience with RSU’s and need a little clarification. How exactly is it reported on the W-2? Is it in box 12v or should it be in box 14 Other? What tax rate is used? It’s included in the total in Box 1. Harry, your detailed steps and explanation still useful here in 2017. Following the TurboTax step-by-step procedure was creating a mess asking questions regarding vesting, share price, etc. I followed your advice and skipped telling turbo tax anything about this being rsu’s. I went back and chose “enter information on my own” and entered cost basis using information from Fidelity 1099 supplemental stock plan detail which had adjusted cost listed. Harry, I am so happy I found your article and explanations. My company’s W-2 (through ADP) shows both RSU income (in box 12 as V), but also in the summary section “PLUS Misc. Taxable Comp.” which happens to be equal to my ESPP bargain element, and now I know to add that in to get my real total cost basis. I am worried about another line in the summary called “LESS Misc. Non-taxable Comp.” and wonder if it is a negative entry to my gross pay for some portion of either the RSU or ESPP bargain element? 401k has it’s own line, so it isn’t that. You will have to ask your payroll what that “Misc. Non-taxable Comp” is. If it’s non-taxable by definition it doesn’t affect your taxes. I understand the way RSU works is that the company withhold about 45% of shares to cover for tax, but if I don’t sell them, why I receive form 1099B? Also, I’m not sure 55 shares are the # shares vested or the # of shares withheld. Can you please explain? In this case, how do I fill in using Turbo Tax? First contact your employer to find out what the 55 shares were. No one else would know besides yourself and your employer. If you didn’t sell, it sounds like your employer didn’t use net issuance. This blog post here is only about net issuance. See RSU Sell To Cover Deconstructed for what to do when your employer uses a broker to sell shares for tax withholding. If the sale involved multiple lots you will have to get the information for each lot. Dude, your post really helped! I couldn’t figure out why I owed extra tax on my stock sale when my company already taxed it when it was vested. My company provided me 744 RSUs (accrued over a 3 year period), they all became vested (2017) , and they held back 258 for taxes. I sold the remaining 486 shares the day after vesting. E-trade shows NO taxation form/box info for the 258 shares sold, but lists it in the Vest Schedule as ‘Total Taxes Paid’. Question 1: There is nowhere in TurboTax to enter in the shares held back to pay the taxes, or the taxes that were paid on the RSUs. I also do not see these taxes included anywhere on my W2s, so where do I enter this info, or do I need to? Question 2: Since the taxes for the RSUs on the 774 shares were paid for with the 258 shares, is every dollar received on the 486 shares sold, also taxable as income? 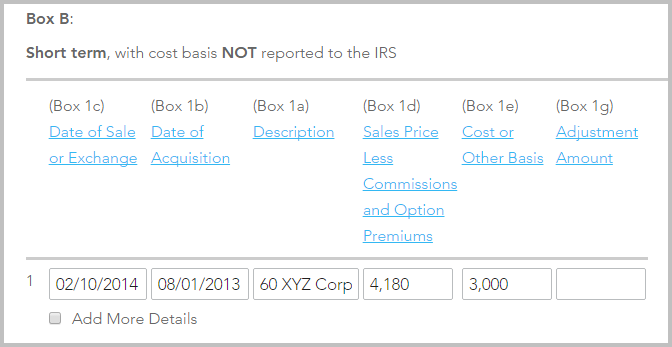 Taxes=fully taxed on the 750 shares with NO cost basis? like if you hit a lottery for $10,000, they take $4,000 for taxes, then at tax time next year, you’re taxed on the $6,000 as income. If only being taxed on the gains (between the release/vest dates), there is nowhere to enter that number without entering the entire proceed and zero cost basis – which again, leaves out the taxes already paid. Any advice? Both questions were addressed in the post if you follow along with your own numbers. The value of the shares withheld for taxes were already included in the W-2. It’s not listed separately but it’s included in the total. Nothing extra to do there. The basis for the shares sold is the per share price at vesting times the number of shares sold ($50 * 60 = $3,000 in the example). If you imported the 1099, click on Edit and put the basis in. Or delete it and manually enter it as the screenshots show. Hi Harry, THANKS again for your assistance We actually get a refund due to this clarification on cost basis. These tips are highly appreciated. The imported e-Trade form leaves this info out – but does show it in their supplemental pages on their website. Thanks once again! Thank you Harry. I just needed a little help to validate my thoughts. My software wasn’t very validating, but you were! Many thanks.